The first phase is already in operation and has sold out. The first Landings homeowners where able to enjoy their spectacular properties starting in December 2007. Of phase two, only 33% remain. 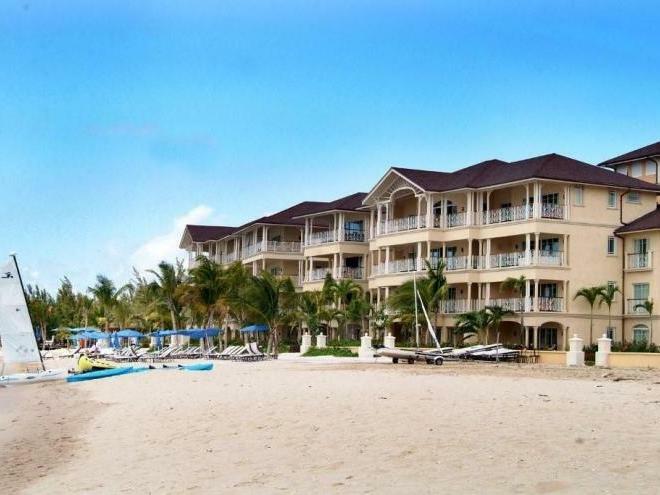 This beachfront property is expected to become one of the most luxurious resorts in the Caribbean. 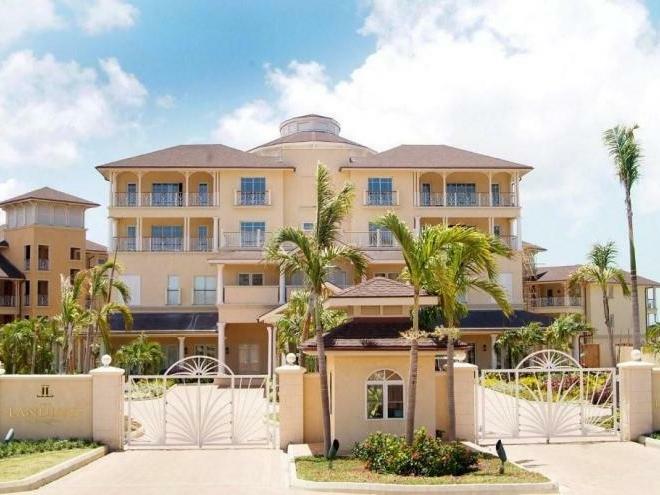 The list of amenities is extensive: 229 suites, a 7000 square-foot spa, state-of-the-art fitness gallery, full-service salon, 4 restaurants and bars, boutiques, a delicatessen, tennis courts and an 80 slip private yacht harbor. 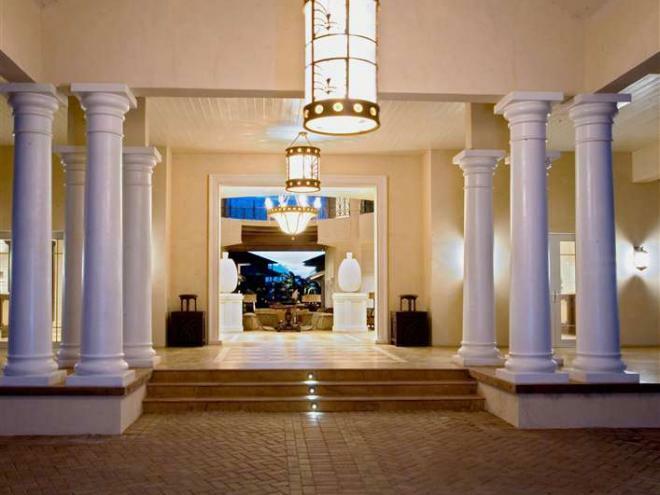 Guests entering The Landings step into the airy, five-story grand pavilion which features a spectacular three-story waterfall comprising indigenous dark green andesite stone. 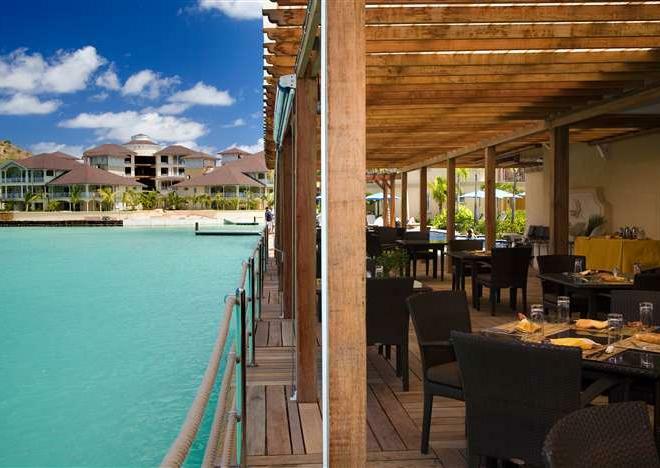 The walls are clad in coral hand-carved by Guyanese artisans. Custom-made chandeliers of alabaster and coral highlight the grand staircase leading up to the second floor Rock Resorts Spa. The lobby also houses original, locally crafted art, as well as a replica of the historic HMS Victory. This, the most famous ship in the history of the Royal Navy is best known as Horatio Nelson’s flagship at the Battle of Trafalgar in October 1805. 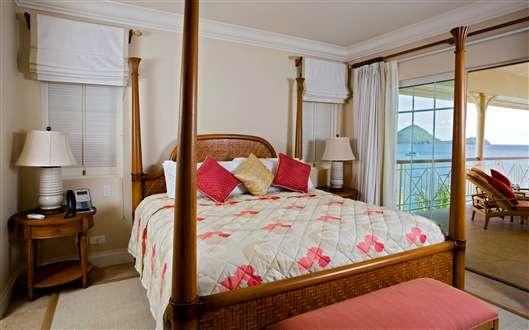 Ranging in size from 900 to 2,300 square feet, each spacious suite features spectacular views of the beach, harbour, lagoon or channel. 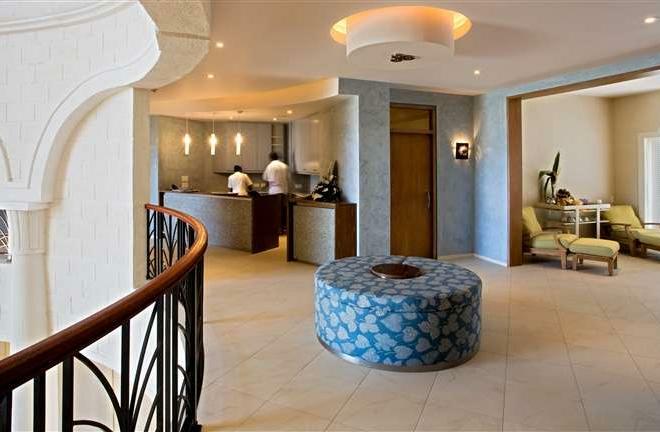 Each suite is designed in either traditional or contemporary Caribbean style. 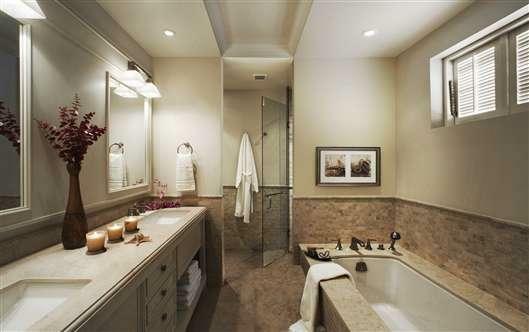 Traditional suites blend European and Caribbean colonial decor with Italian porcelain tile. 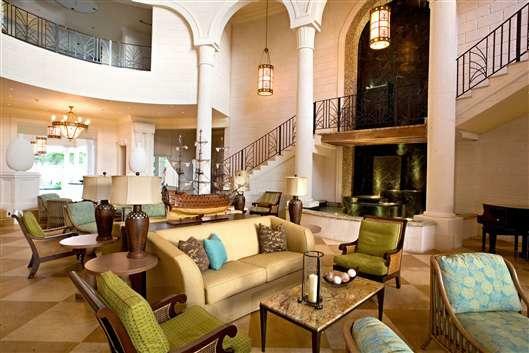 Kitchens are highlighted with Tuscan stone mosaics, while traditional West Indian colonial furniture and antique bamboo accents are found throughout. All suites offer fully equipped luxury kitchens, featuring Miele appliances and Liebherr refrigerators. You may choose to make The Landings your home and enjoy exclusive use of your residence 365 days a year. 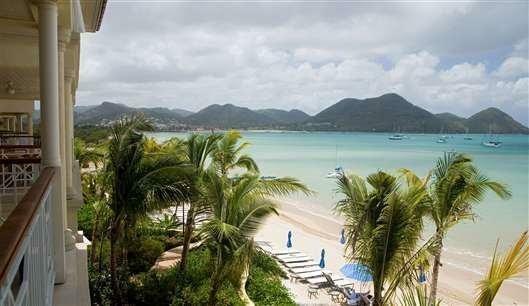 You may enter the rental pool when you are not in St. Lucia, allowing you to generate tax free income through a five-star management company “Rock Resorts“. The opportunity to buy early into this prime location, with its unrivaled construction and finish quality guarantees strong growth. Prices range from US$ 550.000.00 to US$ 1.045.000 for the second phase. 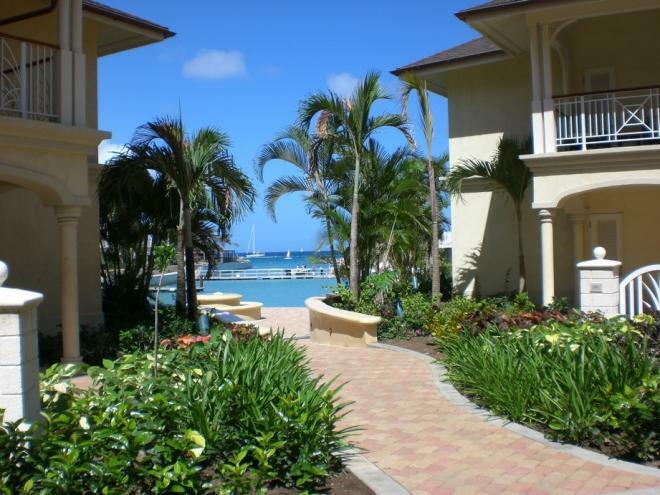 The Landings, a Bentley International Property Awards winner for Best Marina Development Worldwide and Best Caribbean Development, has redefined paradise. Every residence is located on the water and has a breathtaking view. From the sparkling azure of the pristine Caribbean Sea, to the pyrotechnic sunsets, you will be dazzled from dawn to dusk. 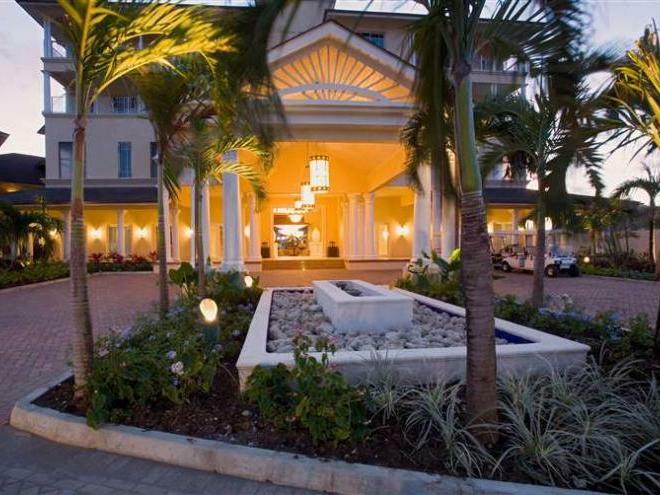 This five-star community has unrestricted freehold ownership. The Landings private yacht harbor, for your use as an owner, holds craft up to 50 feet. Larger vessels are easily accommodated on an external pier. 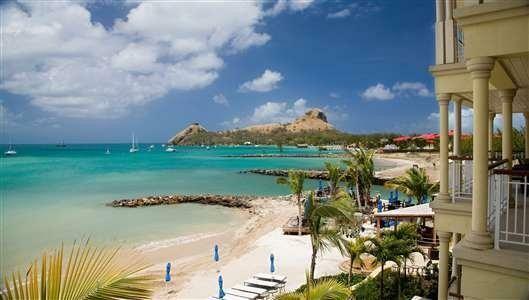 Make this a private sanctum, or venture to nearby Rodney Bay – the entertainment capital of St. Lucia. This real estate masterpiece was brought to fruition by an impressive collection of experts from all over the world– each among the best in their field.